While Charles Hudon’s rookie season was not outstanding, it was a success. Hudon established himself in 2017-18 as an NHL regular and showed that he has the potential to become a future core player for the Canadiens. Many pundits were of the view that Hudon’s rookie year was unduly deferred, particularly when one considers Hudon’s scoring talent and the team’s dearth of skilled forwards. 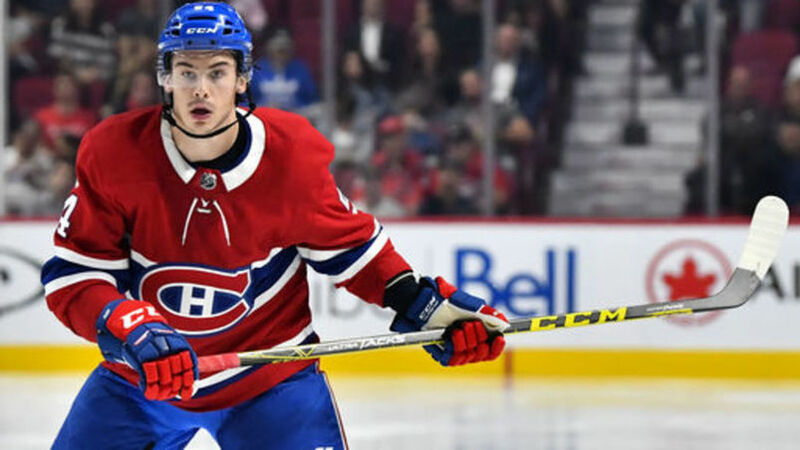 However, Hudon made his much-awaited debut in 2017-18 and while he did not register the same numbers that he did in the AHL, Hudon more than demonstrated that he belonged on the big club. On an offensively challenged team that had a truly miserable season, Hudon posted the following numbers (72 GP, 10 goals, 20 assists, 30 points, -12 and 179 shots, S% 5.6%, 126 hits, 38 blocks). While Hudon is somewhat undersized (5’10”, 180 lbs. ), his physical play, tenacity and willingness to sacrifice his body and block shots are all added bonuses. His defensive play is certainly not a liability. The plus/minus numbers are not great but they are also not all that bad on a team that was as atrocious as the Canadiens were last season. Between his contract and his performance, Hudon has likely established himself as a middle-six forward for the Canadiens for at least the next few years. As a left winger, his value will only increase if, as expected, Max Pacioretty is dealt during the season. The shooting percentage for Hudon in the AHL is not included in this article. However, Hudon’s shooting percentage in the AHL, while not approaching Byronesque proficiency, certainly was not even close to the 5.6% number that he posted in 2017-18. Most Habs fans would agree that on many nights last season, Hudon was both one of the Canadiens’ best forwards and was also snake-bitten, particularly early in the season. To be certain, there is a difference between NHL and AHL goaltending. However, the low shooting percentage does seem to be an aberration, particularly when one considers Hudon’s skill. It would be surprising if that number remains substantially under 10% again in 2018-19. Even if Hudon’s play remains at the same level this season, a better shooting percentage alone could easily transform Hudon into a 40-point producer. Given the number of shots and chances he generates (179 SOG and 286 TSA), Hudon could easily become a 20-goal scorer at the NHL level. In this pundit’s view, Hudon has earned a middle-six role and his role will only increase if Max Pacioretty is traded. Unlike other positions, Montreal does have some depth on the wings. However, Hudon’s skill, his scoring prowess and his ability to play the right side as well as his impressive overall performance (his physicality and his responsible defensive and offensive play) in 2017-18 likely means he will be a regular going forward. Hudon could realistically have a breakout year. 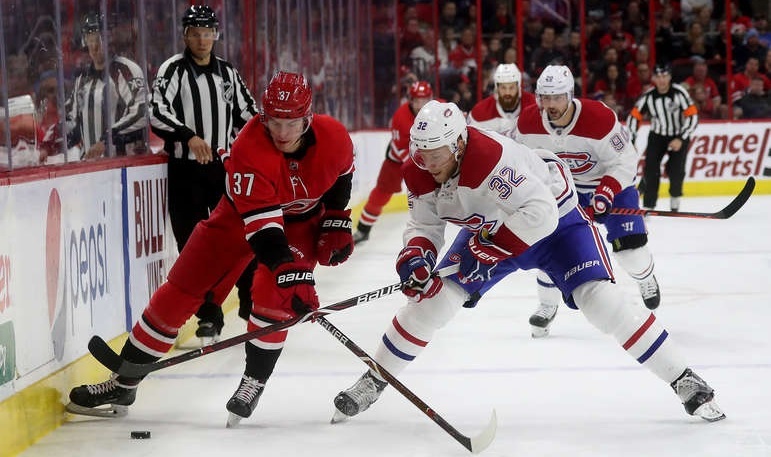 With a higher shooting percentage, greater confidence and an increased role on the left side, including some potential power play time if Captain Max is traded, Hudon has the potential to surprise many observers on the upside. 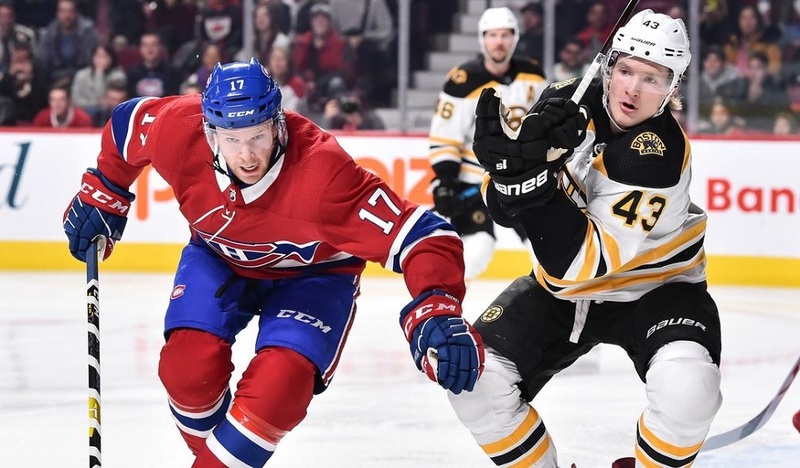 Given the above, Charles Hudon could easily be a late round selection in any Fantasy Draft. That includes not only leagues that consider goals, assists and points but also for those leagues that consider hits, shots and blocks.